Take a good look at that map above, a rank example of partisan gerrymandering, the 18th US House District of Pennsylvania, which will be ground zero for electoral politics from now right on through March 13th, when a special election will decide who replaces Republican Rep. Tim Murphy in Congress. Murphy, as I'm sure you remember, resigned after it became known that he had urged his mistress to have an abortion. The 18th District was gerrymandered in 2013 for a Republican, and up until now it's delivered. The map-drawers deliberately skirted around Pittsburgh, but they managed to include some very affluent suburbs south of Pittsburgh. Hmmm, suburbs. Congressional Republicans are so worried about the district that they've got Trump going there today to campaign for the Republican, Rick Saccone. And Mike Pence will follow along on Ground Hog Day to campaign for Saccone. Will Pence see his shadow, or will he squeeze his eyes tightly shut in silent prayer? Everyone already knows it's going to be many more weeks of winter for the Party of Trump. I wrote about the Democratic candidate, Conor Lamb, weeks ago. 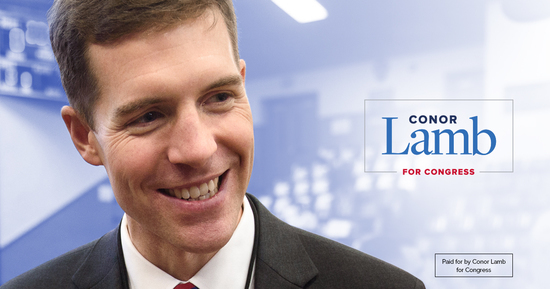 He's another of those rising stars, a candidate who "fits his district," an assistant US attorney, and an ex-Marine. (Have you noticed how many retired military are now running for office as Democrats?) Lamb has said that he would not support Nancy Pelosi for Speaker of the House, a position that used to be the kiss of death for party support and a position I happen to agree with. If anything is clear about the BlueWave of 2018, the Democratic party is in need of new, younger leadership. 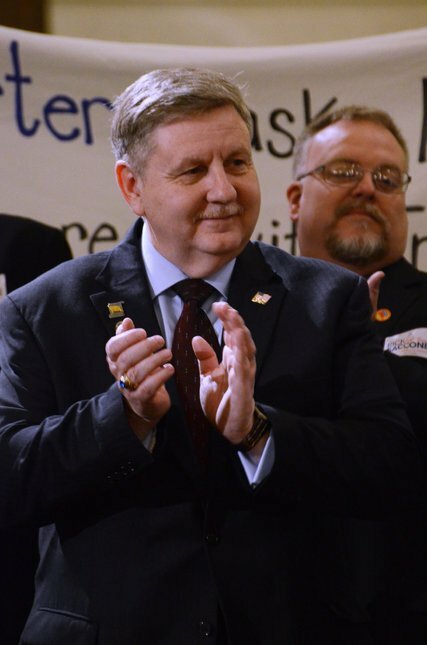 Meanwhile, Republican candidate Rick Saccone looks like day-before-yesterday's politics. Even among Republicans, he's considered "lackluster." Which is why Washington politicians are rushing to prop him up and why Trump will be in the district today and Mike Pence on Ground Hog Day. Saccone is playing his part. He's bragged that "I was Trump before Trump was Trump," whatever the hell that means, but we assume it means he's a fool and an idiot. He was, after all, a public supporter of dearly departed Roy Moore in Alabama. Saccone was picked in a nominating convention and on the second ballot, apparently because the Republicans in the room were drinking undiluted gall that day and Saccone was the most conservative candidate running. He's a state representative from Allegheny County.